Spring is the time to equip the backyard plot, to bring in beauty and to create landscape design. The beauty of the brook in the garden is undeniable. And if you want to enjoy the gentle murmur of water, admire the insects and birds that are attracted to the water, then you need to think it over correctly. It is about the location of the stream, the shape of the coast and its decorative design from start to finish. Are you afraid that the cost of arranging the stream will not be worth it? In this case, we suggest that you familiarize yourself with the technology of making a dry stream that came to us from China. 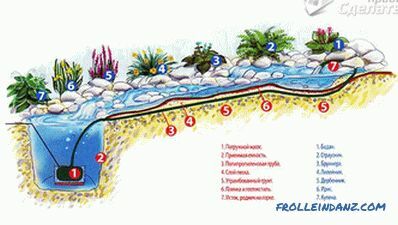 In this article you will learn how to make an artificial stream with your own hands in the country, both dry and water. The source of a ringing stream may be a crack in a large boulder, a picturesque shrub and a waterfall. In fact, this is a small masking of the hose, creating the illusion of a picturesque source created by nature itself. The logical end of the stream is a pond or reservoir. The stream may also disappear under a pile of stones, under which there is a reservoir with a pump. Another option is to make the beginning and end of the source lost in the garden. Of course, this is an artificial source in the country, but it is quite possible to make it natural in appearance. When constructing an artificial water flow, one principle is applied: the pump pumps water to the highest point of the stream from the reservoir at the lowest point on the site. After that, water from the highest point flows down along a natural slope. For the construction of a water flow to be successful, it is important to properly plan it: choose a place and make a slope that provides natural movement of water. If you have plans to make a stream that would resemble a natural source, then use the existing terrain. 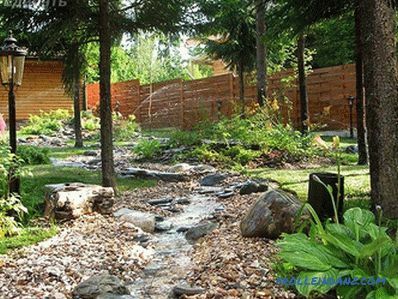 The water flow can go around garden sculptures and flower beds, flow near trees in the garden or places of rest, creating either small waterfalls, now quiet backwaters, sometimes islets, then shoals. Observing the natural forms, you can achieve the naturalness of the stream. Replacing natural outlines with geometry looks unnatural. Such a stream will be more like a ditch. Before you make a stream, think over all the details. For example, does the relief allow you to create a waterfall? Is there a need for a second pond arrangement? Will it be a small stream or will it skirt a decent part of the plot? The longer the stream, the more equipment for its arrangement you will need. The coast can be decorated with flowering plants. In the list of those who love moist soil: hosts, sedge, bergenia, meadowsweet, bathing vessel. As for the length and width of the channel, then everything depends on you. Standard sizes vary between: width - 0.5-1.5 m, and depth - 0.3-0.5 m.
Due to an incorrect calculation of the volume of water, the construction of a ringing creek may fail. It should be borne in mind that the pump pumps water over a sufficiently large distance, which is equal to the length of the stream. On the way back, the movement of water slows down, due to the fact that it goes around stones and plant stems. In addition, the water evaporates in motion. According to some calculations, water in an artificial stream passes only 2 m in 1 minute. For example, when operating a stream having a length of 10 m, 200 to 300 liters of water should be in motion. 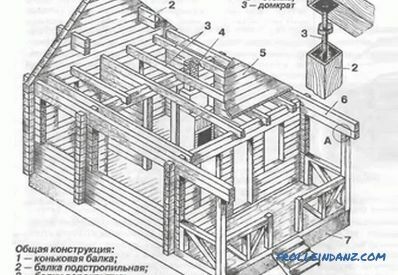 If you decide to independently calculate the volume of water, then consider the area of ​​the base the creek, the height of the water column in the creek and its volume in a hose laid under the creek and feeding water to the highest point of the source plus the volume of the lower pond. For the smooth operation of the flow, you should regularly add water to it. The need for this is due to the evaporation of water and the ambient temperature. Suppose you have already decided on the relief of the source and its location. Now is the time to arm yourself with a rope and pegs and walk along the channel of a planned source. Hammer the pegs close together, connecting them with a rope. Compliance with geometric shapes in this case is inappropriate. In the next step, you need to dig the ground under the bed. If bias allows, add steps that will serve as small thresholds. 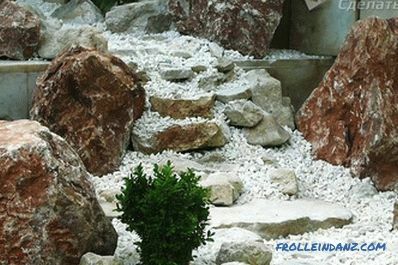 If you have no desire to do them, then use large boulders, which can be fixed with concrete, as the sills. Clear the bed of stones and remnants of the roots. Then tamp the ground. If you are making a large stream, then it is better to concrete the bed. In this case, in places of rapids, lay flat stones. You can connect them with each other using concrete. 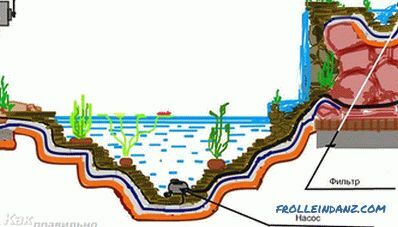 If you want to plant the plants along the coast of the source, then expose the waterproofing coating, and then make a trench for the mouth. Sprinkle it with sand or gravel for 5-7 cm. Then close it with geotextile with a margin around the edges. Then pour water over the canvas to moisten it. This is a necessary event, because otherwise, geotextiles will not fit tightly the mouth. And this, as should be expected, will spoil the appearance of the structure. The edges of the geotextiles should be fixed with large stones. In the middle of the channel is masonry, consisting of flat stones and concrete solution. Then another layer of concrete is laid, which is decorated, for example, with pebbles. Now you need to dig the grooves to a depth of 10 cm parallel to the channel. They will be laid pipe from the pump. Pour them, and then disguise them with turf. Now you need to connect the pump and start the water. The trickle is ready! There are other ways to build streams, for example, dry its analogue. This is one of the original elements of the landscape. Making it very simple. Time and funds for the arrangement will take a minimum, which is important. 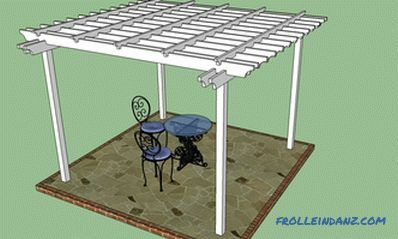 A dry trickle will decorate the garden area, hide relief flaws and visually increase the area around the house. Mosquitoes like to swarm above real ponds, but this insect has nothing to do near a dry stream. If you properly equip a dry stream, the effect of it will be no worse than a water source. It seems that yesterday crystal water flowed in it. It feels like a little rain will fill the stream with life-giving moisture, returning his life. Dry streams are quite popular in China. They are central elements of stony gardens, a symbol of water and continuous movement. In the East, the landscape is considered unfinished without water or its imitation. Dry creek is an excellent alternative for gardens in which it is impossible to build a real reservoir. 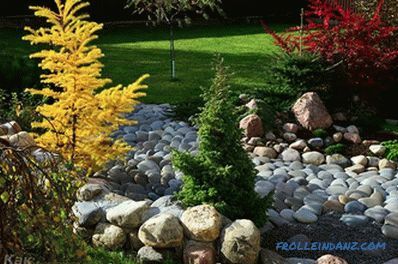 Dry the stream is in harmony with any landscape design. Plays the role of a drainage ditch without the need to invest extra time, labor and money. Possibility of arrangement on hills and hollows, in the sun or in the shade. 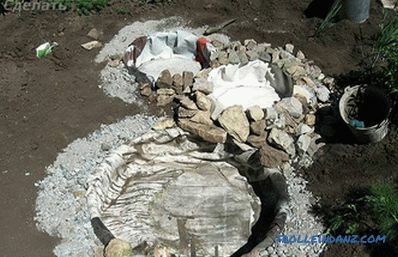 An artificial dry stream can be made in just a few days. There is no need to level the landscape, lower the relief or deepen the channel. There is no need to buy a pump and accessories for pumping water. Possibility of planting any, and not only moisture-loving plants. Another feature of dry streams is the possibility of arranging a dry lake. The bed of the stream and the bottom of the lake can be laid out with rubble, and the banks can be decorated with large stones. To begin with, determine the shape and size of the stream, the place and materials for its construction. When choosing a shape and size, consider not only the relief of the garden plot, but also its area. A dry lake, for example, blends harmoniously into a narrow section. A winding stream - looks great on a wide area, creating the effect of its lengthening. A dry pond should have a mouth and a source. As for the mouth, it can be hidden behind the large leaves of the host, bergenia or other plants, while the source should be on a hill. Make a small indentation, laying it out with gravel of small fraction. In this simple way you will create a semblance of a well, the illusion of a water source. 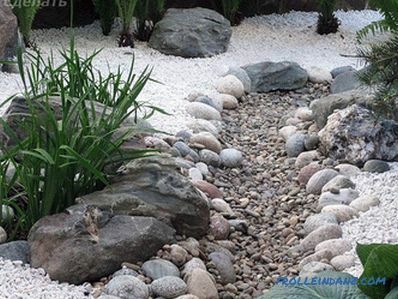 Most often, pebbles and small gravel are used to decorate a dry stream. You can buy them in any hardware store. They are not only affordable, but also differ in a fairly rich color palette. Tones of pebbles from gray-blue to gray. Gravel color palette: blue, blue, blue-green, etc. Also slate and basalt can be useful for these purposes. You can use colored granite to place accents. A better effect can be achieved using glass beads and blue-blue balls. They will sparkle in the sun and shimmer in cloudy weather, creating the illusion of living water. Sand is well suited for plotting a plot. So, you can outline the contours of a dry reservoir. A man-made stream may consist of several channels or just one. If you want it to look natural, then change its width in different areas. To prepare the surface, remove the sod layer and level the ground. To do this, you can use the usual garden rakes. You should get a small depression (10-15 cm). Remember that an unnecessarily concave streamlet looks unnatural. Lay a layer of sand (5 cm) on the bottom. 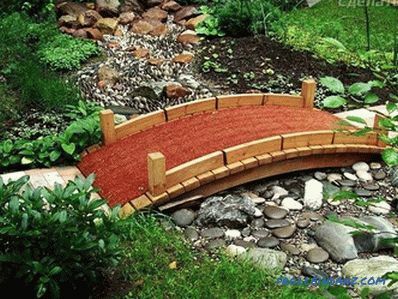 To prevent weeds from sprouting onto the surface of the stream, lay a covering material on the bottom. This may be a geotextile or polymer film. Now lay large stones that delineate the boundaries of the dry source. Then lay the bed with pebbles or gravel. The creek is ready! It remains to plant plants along it. 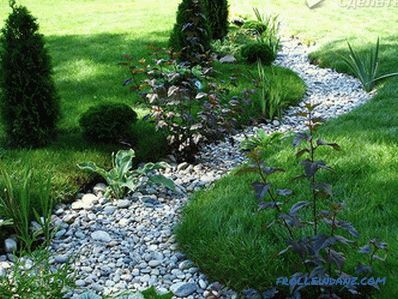 In order for the stream not to turn into an ordinary flower bed, you need to take a responsible approach to the issue of planting. Do not overdo the planting of tall varieties. Choose only those that you associate with water. These can be plants with blue-yellow leaves or blue flowers. Decorative elements will help you to effectively decorate the dry flow. This may be, for example, a decorative bridge, thrown over a stream, etc. If you have no place to make a stream, then do not despair . You can always make at your site a small pond. For its arrangement you will not need a large area. 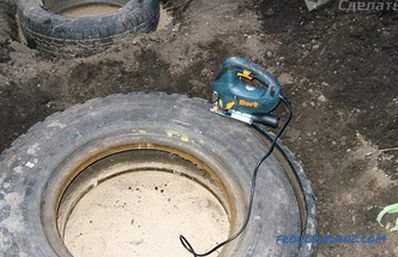 One of the easiest options for the construction of the pond, make it out of tires. 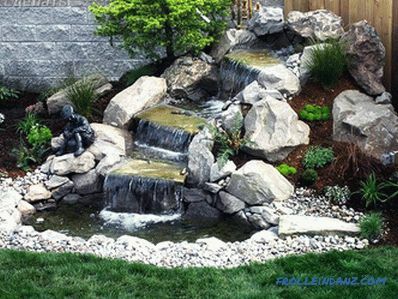 The best option for arranging an artificial pond is a flat area without hillocks, pits, bushes and stones. If there is none on your site, then clear a place under the pond and, if necessary, level the site. Tire sizes vary, so decide on the size of the pond in advance. 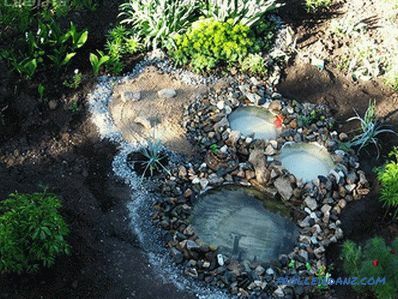 If you have enough space on the plot, then make a complex of small-sized ponds located on the same territory. It is important to decide whether the pond will be deeper or above ground. All this is worth thinking in advance. From this will depend on the choice of decor and the purchase of materials. 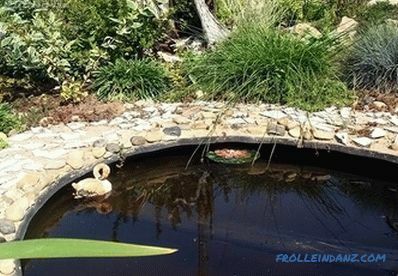 The pond can be a worthy decoration of the garden and a great place to relax with the whole family. 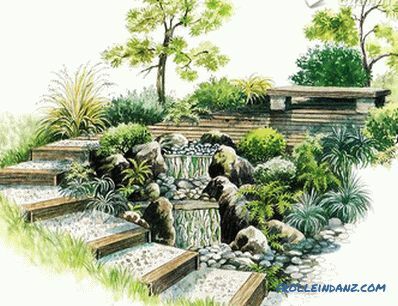 In addition, the pond should be made in the same style as the landscape. Otherwise, it will look ridiculous on the site. 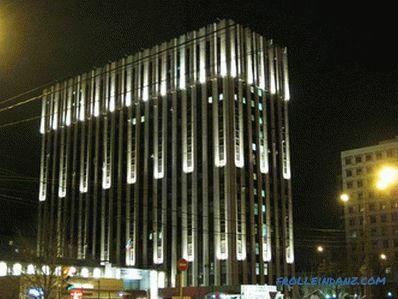 All this is important to determine at the planning stage of the construction of this structure. Soil structure and groundwater level. The place for the pond should be shaded. This is due to the fact that direct sunlight promotes the reproduction of microorganisms in the water. And the water from the pond, located in the sun, will quickly evaporate in the summer. Before determining the location of a tire pond, observe solar activity in the area during the day. So, you accurately determine the best place for construction. 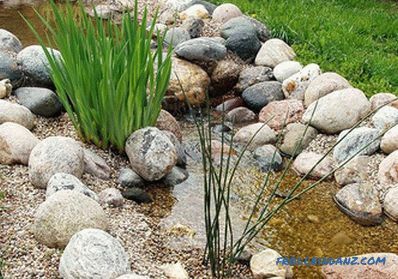 If the pond is highlighted or a fountain is installed in it, then take care in advance that the electrical connection is located near the reservoir. The choice of tire depends entirely on the size of the pond. A small pond is made of a passenger car tire. 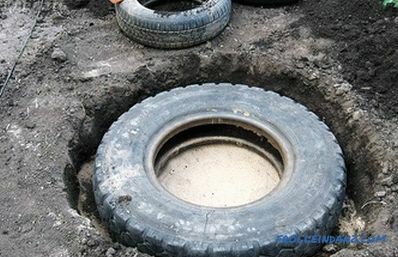 For a larger pond, you will need to purchase a tire from a KamAZ, bus or tractor. Clean the tire of dirt, wash it. Cut off the top of the tire. 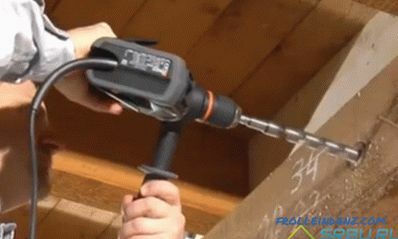 To do this, you should use a hacksaw / electric jigsaw. Measure the tire diameter and height. If your pond is dug into the ground, these measurements will help you determine the depth and diameter of the recess in the ground beneath it. The recess must be wider than the tire size. Thanks to this you will be able to secure a waterproofing material. In order for the water in the tire pond to be filled exactly, the base under it must be perfectly level. Base flatness readings are easily checked using a level. To prevent the pond from becoming contaminated with clay, place the tire a little above ground level. It is very important to pay due attention to the waterproofing of the pond. Otherwise, the water will simply go to the ground. The cheapest way to do this with plastic film. But its quality leaves much to be desired, the film does not withstand heavy loads. To improve the waterproofing properties of polyethylene, lay it in several layers. More reliable waterproofing is provided by modern materials used for arranging pools. It is more practical, durable, and therefore durable. 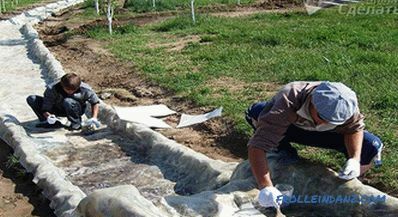 After the tire has been laid on the prepared place under the pond, lay the waterproofing along its bottom and walls.At the same time, the waterproofing layer should protrude approximately 50 cm beyond the edges of the pond. In this case, it will not slip after filling the pond with water. After laying the waterproofing, fill the resulting bowl with water. Wrap excess material carefully. In order to avoid the movement of the tire and the unfolding of the film, the edges of the pit under the pond should be filled with rubble of small fraction or sand. This, among other things, will protect the place near the pond from weeds that love to grow around the pond. In the absence of sand / rubble, you can apply the earth remaining after digging a hole under the tire. However, in this case, you will not protect the pond from the growth of weeds in its circumference. Plant the plants at the bottom of the pond. All you need is to put special containers for deliveries. By the way, supplies are on the basis of the reservoir. Arrange the plants in pots / pots on the shore. So, you can, if necessary, modify the area around the pond at its discretion. Launch ornamental fish in the pond. 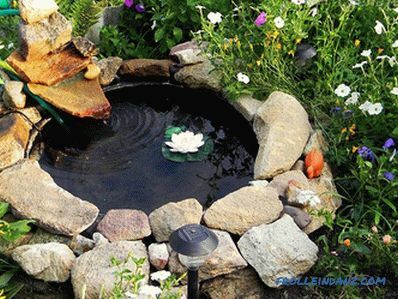 Make flower and stone compositions around the pond. 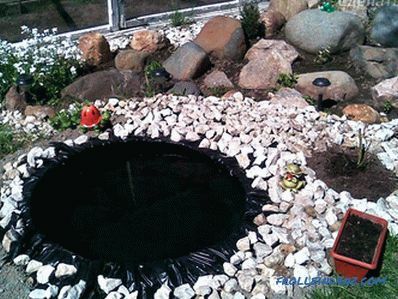 If you want to make the pond more functional, then you can make a mini-pool for swimming. To do this you will need a big tire from BelAZ. Cover the bottom with sand, install a waterproofing. It uses the same form as for the arrangement of the pool. The ladder for lifting into the pool and the surface around the tire can be treated with wooden elements previously treated with antiseptics. Water tends to stagnate, which makes it unsuitable for swimming. To avoid this, use special reagents for water purification. This mini-pool can be an excellent place to relax the whole family. 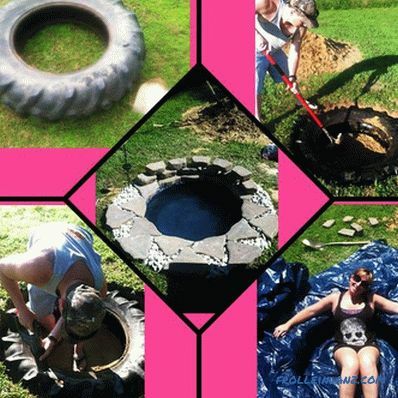 As you can see, it’s possible to make a pond / mini-pool out of a tire. You do not need to invest a lot of money in construction, and it will not take much time to do this. Using a thing unsuitable for the original purpose, you will be able to refine your site. We hope that this article will help you in creating your own masterpiece on the plot. To create a stream filled with water or its dry analogue is up to you. Given the advantages of each of them, you can make the right choice. If you have a desire to share your own experience, then write comments at the end of the article.